This beautiful event is a collaboration between the Syrian Community in Ottawa and the Somali Centre for Family Services (with World-Changing Kids helping out with marketing and social media). The primary goal of the event is as a fundraiser for the city of Ghouta (a suburb of Damascus, Syria). But the other results it hopes to achieve include bringing a diverse group of community members together to learn from and support our Syrian neighbours in Ottawa. Innocent families living in Ghouta are experiencing shortages of food, water and medical supplies. Through this fundraiser, we will help our Syrian neighbours in Ottawa support their families back home. The event will be held on Friday, April 6, from 5:00 to 8:00, at the Jim Durrell Centre at 1265 Walkley Road. 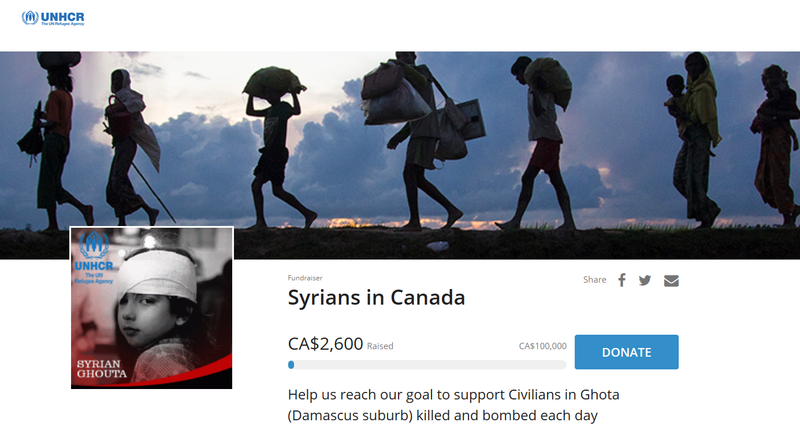 In addition, donations can be made online at: https://fundraise.unhcr.ca/fundraiser/1339363. Tax receipts are available. Please Note: This event is not intended for young children. From a World-Changing Kids perspective, it is an event for adults to learn more about the current situation in Syria, the Syrian community in Ottawa and how to go home and speak to the children in their lives about the issues and what we can all do to help make it better. Our World-Changing Kids Community Building Tip of the Day!